Everything matters. Every little detail makes a difference. Every Fineline design proves that with distinction. Discover how easy it is to create a celebration that is a sensation. Discover the joys of setting the table of your dreams with dishes that fulfill your desires for beauty as well as quality. Derive the satisfaction of knowing that while every dish is disposable our commitment to you is everlasting. Determine this for yourself as you delve into this new catalog that we have updated and expanded to ensure you have a perfectly clear picture of how you can serve others with utter confidence. Impress your guests while we serve you with the excellence you deserve. Explore the Fineline ingenuity in its entirety. 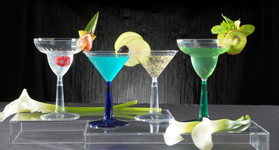 Each individual collection of full-sized and miniature dishes, drinkware, barware, tableware and servingware fills a specific niche in food presentation and provides every possibility for aesthetic celebration. Spark your imagination with Fineline options that range from crystal clear classics to custom and coordinating colors; satisfy your inclinations with lines that extend from subtle elegance to sophisticated style; and surround yourself in the Fineline setting of your choice from high-class character to high-gloss glamour. Experience the Fineline standards of service. Fineline Settings ensures that when creating impressions that last, convenience and customer care come first. 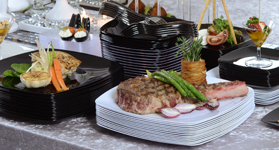 So whether you call yourself consumer or caterer, critic or connoisseur, Fineline Settings would be honored to call you our customer. 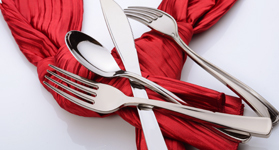 We look forward to the privilege of fulfilling all your plastic tableware needs.